Thread: Skype Retiring old Verison. 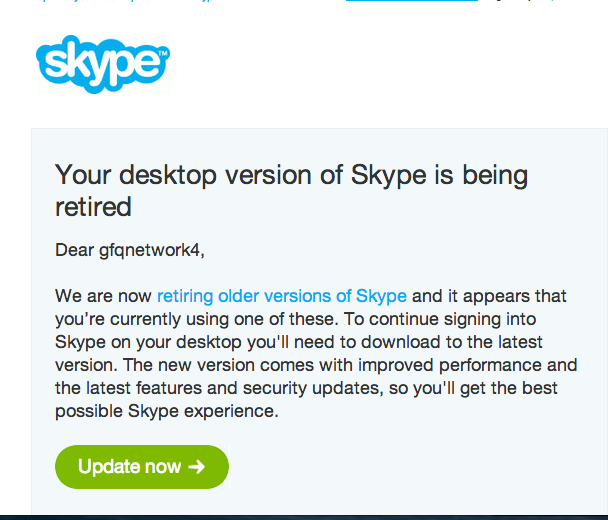 just got this email from Skype. Seems like they are starting with the retirement of older versions.